respectively. The important point to be noted is that the results by the interference method are near the mean of the other results, and that the results obtained by the other method differ widely among themselves. 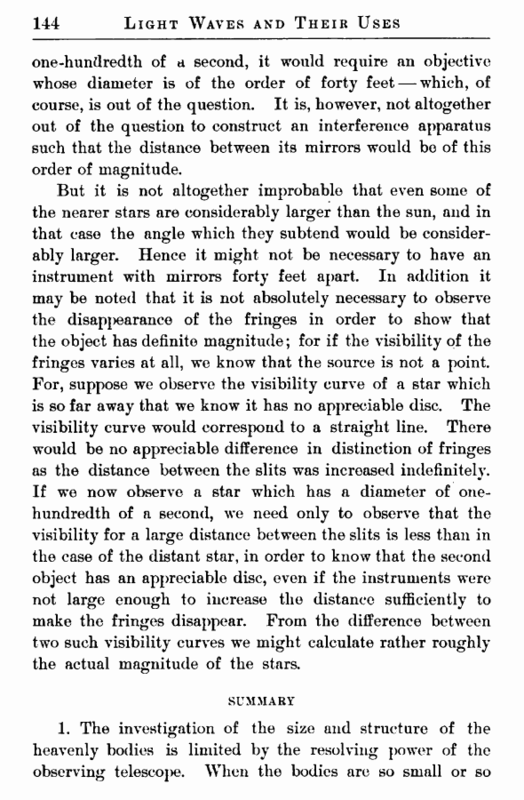 It is also important to note that, while an eleven-inch glass was used for the observations by the interference method, the distance between the slits at which the fringes disappear was very much less than eleven inches; on the average, something like four inches. Now, with a six-inch glass one can easily put two slits at a distance of four inches. Hence a six-inch glass can be used with the same effectiveness as the eleven-inch, and gives results by the interference method which are equal in accuracy to those obtained by the largest telescopes known. 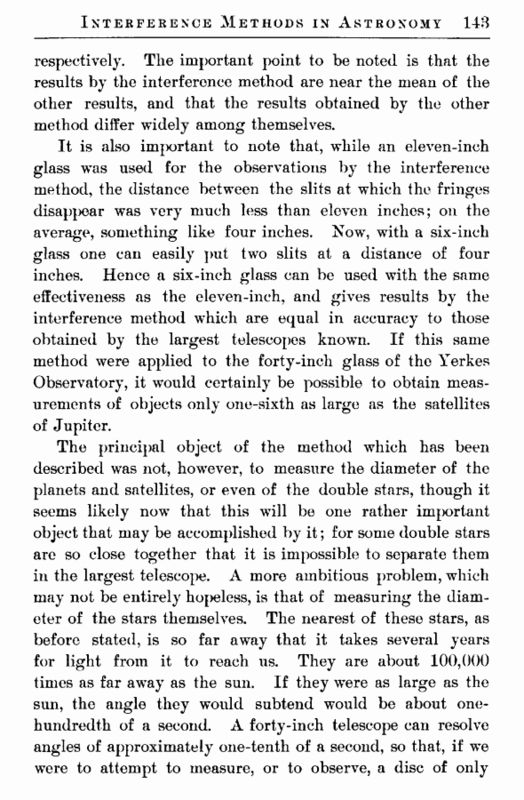 If this same method were applied to the forty-inch glass of the Yerkes Observatory, it would certainly be possible to obtain measurements of objects only one-sixth as large as the satellites of Jupiter.